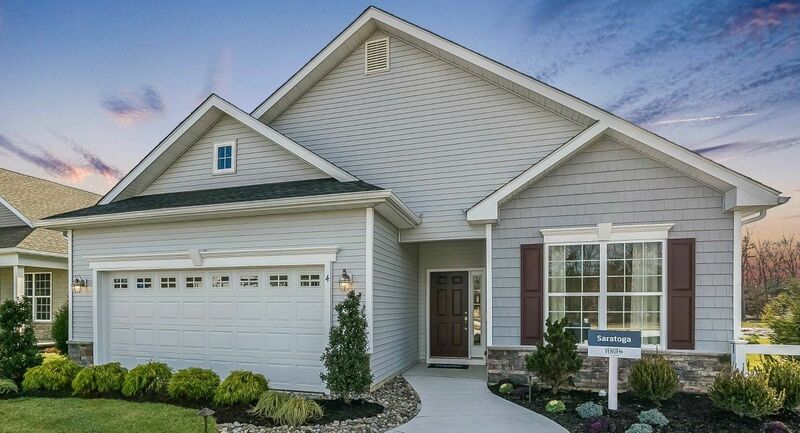 SINGLE-LEVEL LIVING ON PRIVATE HOMESITES Venue at Woodlands by LENNAR is an exciting new active adult luxury single home community in Manchester Township, New Jersey. The residences feature elegant finishes, open floor plans, gourmet-inspired kitchens, luxurious master suites and so much more. Plus, with Lennar’s Everything’s Included® program, every new home at Venue at Woodlands comes filled with a high level of upscale features that add style, value and efficiency to your new home at no additional cost! Enjoy scenic views, fantastic shopping and delicious dining in this highly convenient location. We would love to show you this impressive community in person. Click ‘Request Info’ below or call 609-349-8258 for additional details. We invite you to join our VIP interest list to receive information as it becomes available by clicking ‘Request Info’ below. We invite you to join our VIP interest list to receive information as it becomes available by clicking ‘Request Info’ below.